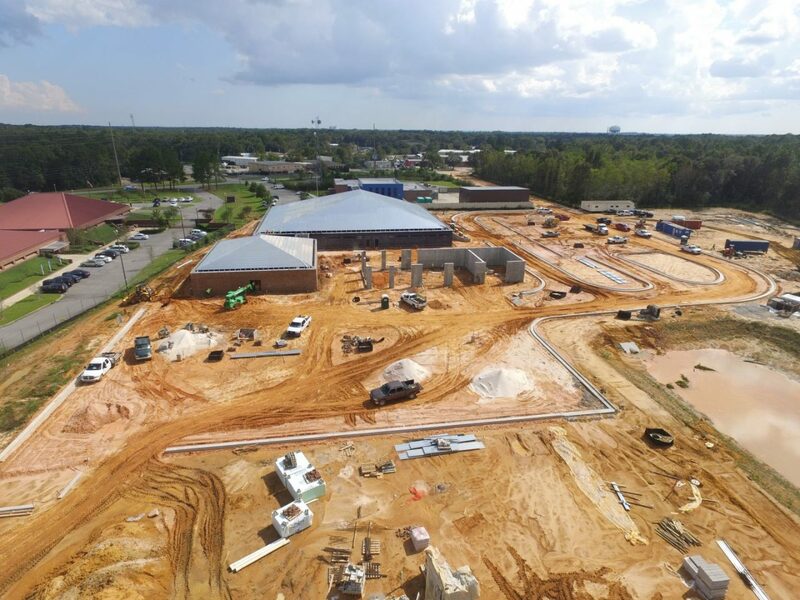 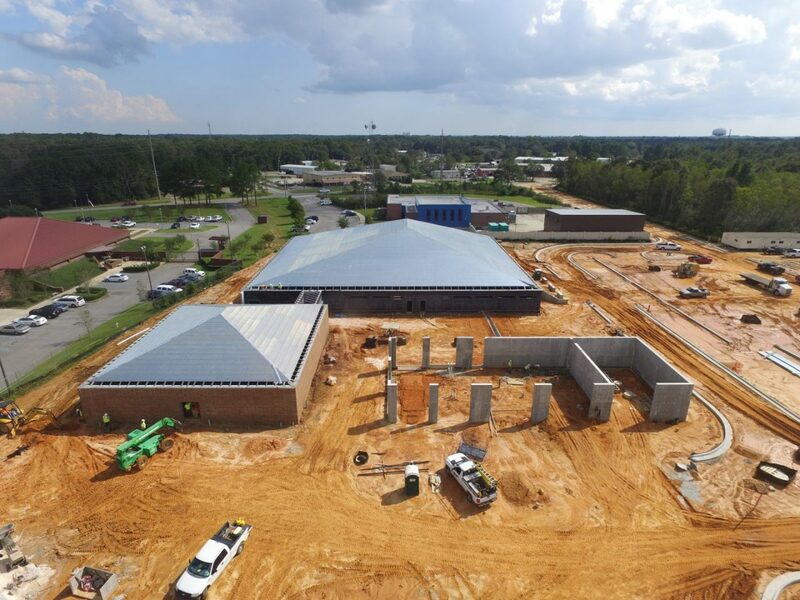 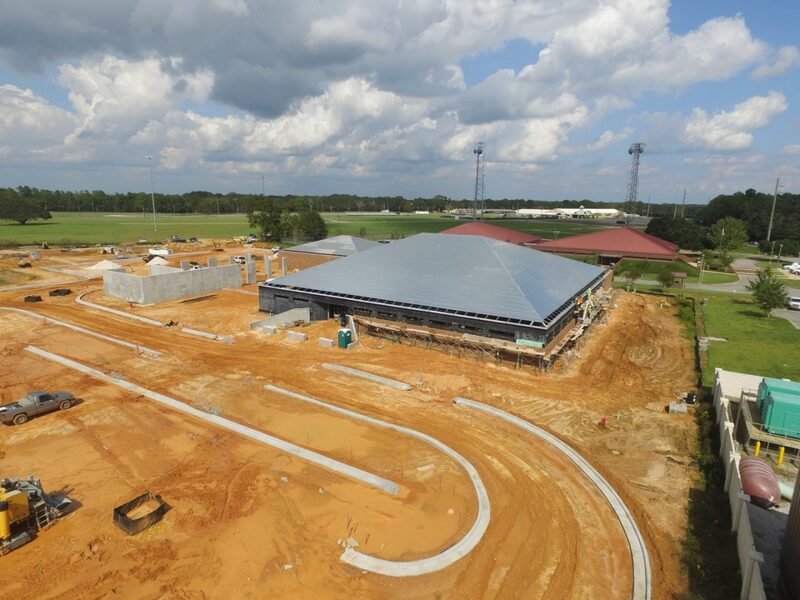 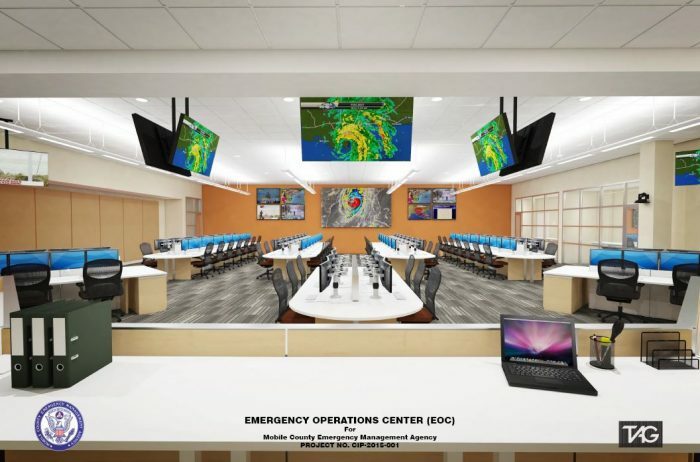 Mobile County Emergency Operations Center | Wharton Smith, Inc. 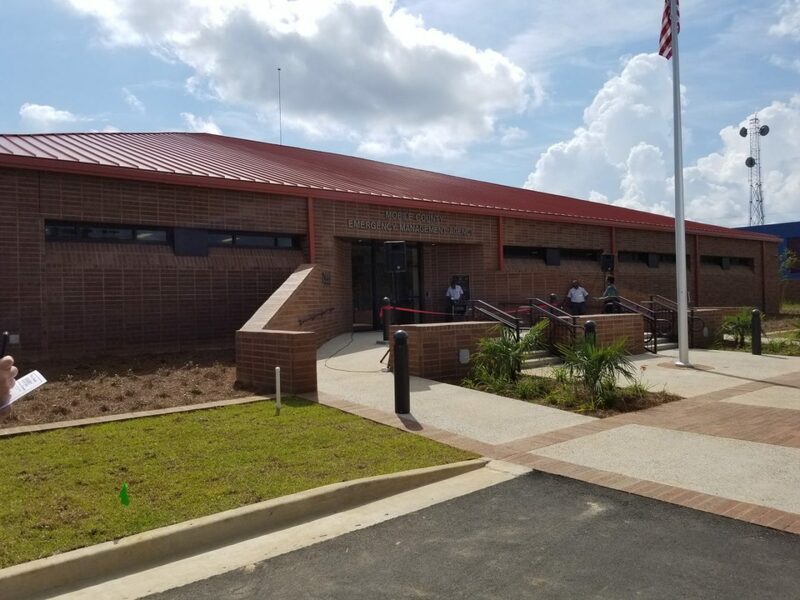 The $11 million project was a collaboration of Mobile County, the City of Mobile and the Federal Emergency Management Agency. The EOC houses the Mobile County Emergency Management Agency and serve as the central command and control center in the event of an emergency such as a hurricane or chemical spill. The 31,000 square foot facility is equipped with dormitories, a storm shelter, and a large emergency operations room with 78 workstations. 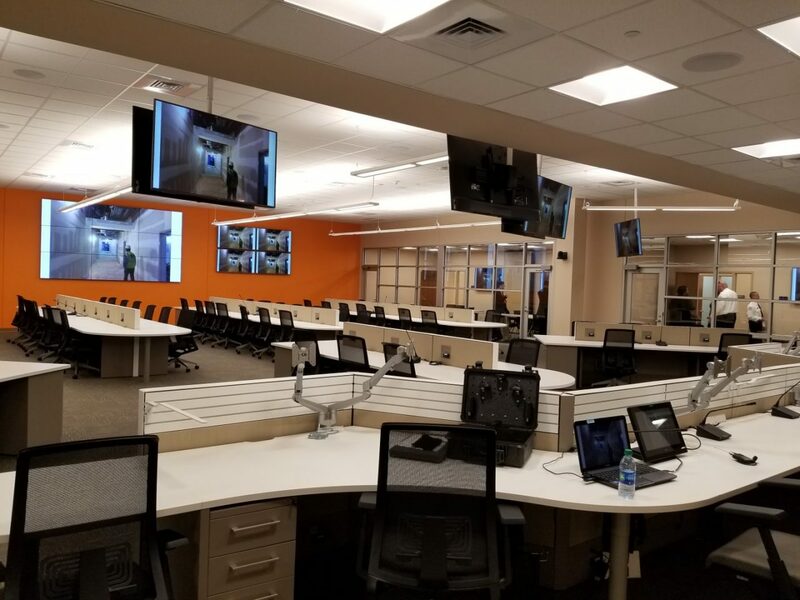 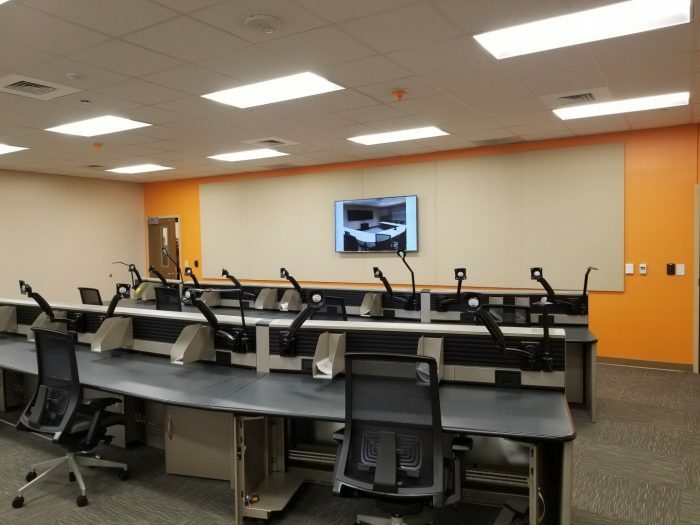 The project includes an intensive audio visual package to help facilitate communication across multiple agencies and jurisdictions during emergency events and was completed in June 2018.